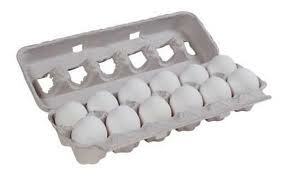 You are here: Home / Uncategorized / *Rare* $0.55/2 any Dozen Eggs Printable coupon! *Rare* $0.55/2 any Dozen Eggs Printable coupon! New RARE coupon alert! Save $ .55 off any two dozen eggs. Coupon can be used on any brand of eggs. Hurry and print this one as there are limited prints available.